I first read Hesse's masterpiece when I was seventeen and remember the shock when its key protagonist, Joseph Knecht, dies two thirds through, not realising that the last third is devoted to Knecht's literary products - his poems and three lives of imagined past biographies. I was expecting this life that I had come to know and feel so closely would unfold to an aged conclusion. It was not to be. It is a remarkable book from its open, dry chapter on how the Glass Bead Game arose that reads as an ever fresh, ironic critique of our own times (as relevant now as when Hesse wrote it in the 1940s). The wonderful skewering of the notion that we consult celebrities for their views on politics or culture is artfully pointed at our own mores. 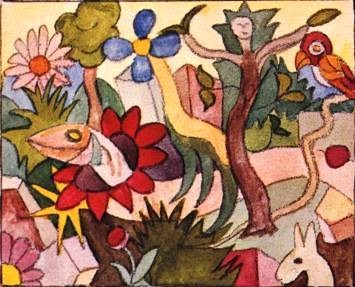 But, more importantly, Hesse's exploration of the relationship between eternal values and the flux of history remains deeply moving, and as unresolved as he himself found it. Like any popular city Venice's 'must see' highlights are overrun at this, the start of the season. Yet, like any other such city, the crowds dissipate as soon as you turn from the beaten track and the place is returned to you in an atmosphere through which it might conceivably be seen. I have never quite understood why people allow themselves to be corralled in that way by their apparently necessary guides (even as I played the role of guide in a distant past). As an aside, when we simply discuss 'racism' as an obvious moral failure, utterly deplorable, I think we ought to reflect on the all too human need for 'familiarity', 'group cohesion' and the translation of the alien that such groups suggest; and, reflect on when does a helpful defence become an unacceptable aggression? What are the conditions we need to dwell in felt safety with one another, rather than simply default to moral exhortation and legal sanction? Tony Benn used to say, with regularity, that what mattered in politics was not personalities but policies, even as he was a living witness to the flawed nature of that claim, winning an ear for his own policies through his own personal projection of them. One lesson to be taken away from the depressing election results in the United Kingdom where the UK Independence Party topped the national poll was that personalities do matter. UKIP is a party that is policy lite (I am being kind) but in Nigel Farage has a personality that captures and channels a significant degree of disaffection with the political mainstream and projects himself (however artfully) as an ordinary bloke. None of the leaders of the other main parties manage this feat - except one, who also had a reasonably good night, even though he is in government, namely Alec Salmond, Scotland's first minister. I bought William Anderson's 'The Face of Glory: Creativity, Consciousness and Civilization' on its publication in 1996 because I had read his exemplary study of the artist, Cecil Collins, and had heard him lecture on 'The Green Man' (on which he also wrote a book). 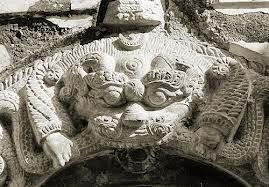 The Face of Glory is an emanation of Shiva, deployed in fierce anger towards the demon Rahu, who is halted in its pursuit of Rahu when Rahu appeals to Shiva for protection. The emanation remains hungry and demands something to devour, now that Rahu is ineligible for this fate, and Shiva suggests it devour itself, which it does, leaving only the head. This head Shiva names as the Face of Glory and henceforth guards the entrances to Shiva's temples. Anderson takes this as an image of the transformation of violent energies into the patterns of civilisation that is the key task of creativity and launches upon a marvellous account of how this might be envisaged within our unfolding histories. "I was so touched that Iona (my goddaughter) liked my banners! Now I feel they really work." I was looking for my address book and found a Christmas card from the artist, Thetis Blacker, that opened with these words. She was referring to an exhibition of hers at Grey College in Durham and their seeing by a child. I was reminded of a remark by the Russian film director, Andrei Tarkovsky, that his work presented no difficulties to children, who saw. I am off home to England to give a talk on the poet, Edwin Muir, who, likewise, honoured the seeing of a child because children see with the eyes of Eden (when allowed to). I achieved a life's ambition that I did not know I had until yesterday...accelerating the growth and development of a funeral parlour! Technoserve, a US based NGO, took me to see two clients that had been through their business accelerator programme our foundation had funded. The first was a funeral parlour that has 22% of the market for dead people in Managua. You can be this precise because death is scrupulously registered, making funeral businesses easy to competitively rank. Something I had not considered before and may never again! They planned expansion, not thankfully by promoting the occurrence of more dead people in the capital, but by building a parlour in a socially up-market part of town. People, with lots of money, think that the area where the present parlour is located is 'unsafe'! The perception of being kidnapped or robbed when attending your loved one's demise is undoubtedly a drag on business! Cynthia Bourgeault's 'The Wisdom of Jesus' seeks to describe Jesus' life and teaching from the perspective of a 'sophiology', a tradition of wisdom, as distinct from a 'soteriology', a tradition of salvation. Jesus is a 'Single One' who from his dwelling in unity with God and out of his self-emptying spirit comes to live at the heart of our world in all its dense materiality and messiness to share a transformative teaching. This teaching aims to move us from the 'binary operating system' of our everyday, ego centred minds towards a non-dual consciousness so that 'the mind of Christ', the 'Kingdom of Heaven' that is within us, will be realised. A group of neuroscientists at The University of Chicago wanted to discover evidence for pure empathy in non-primate mammals. Cue the ubiquitous white rat. You wonder what will happen when researchers die to discover that God is not a bearded elderly gentlemen but an almighty white rat! Anyway, one rat was placed in a cage, free to roam, another rat, in the same cage, was placed in a transparent cylinder, confined but with a door at one end. The free white rat was noticeably more distressed when the cylinder was occupied than when it was not. When it was, the free rat patiently learned how to free the confined rat; and, having learnt to do so, almost always went to free the confined rat when put in the cage. 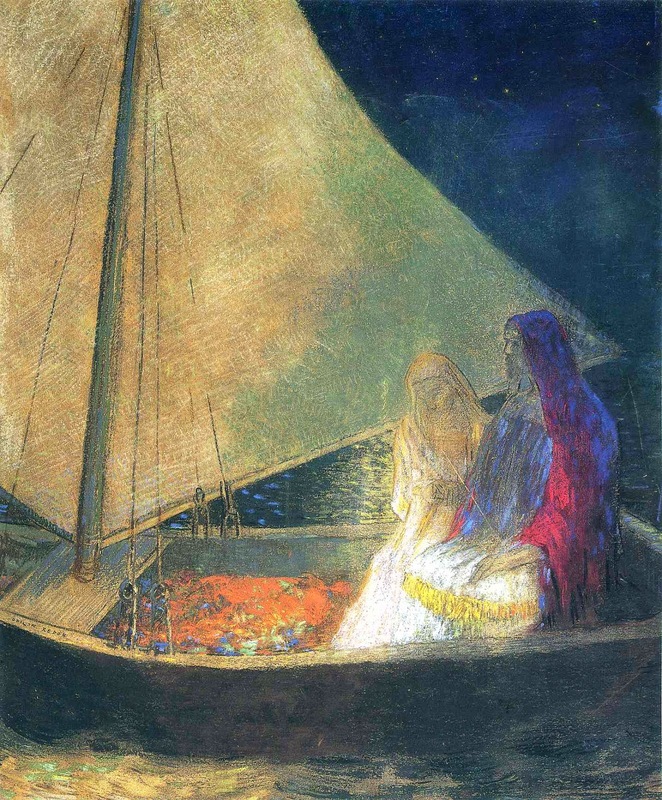 When I discovered I shared a birthday with Hitler, I felt impelled to look for an alternative notable figure, born on that day, and found the French painter, Odilon Redon, who was not only a great painter but who was, in the normal domestic sense of the term, by all accounts, a good man! In Redon's case, he too suffered rejection, but in his case not being allowed to study architecture, became a gift to the world as the show I went to see today in Basel aptly showed.